I still have no idea how I’ve gone this long as a beauty addict and not used a Beauty Blender. Yep, forgive me for my make-up sins! I’ve used various make-up sponges, but I’ve never used the brand favourite, and I’ve been having a go with it during September. The black version is the best for darker products because it doesn’t show stains or marks as easily, which I like. 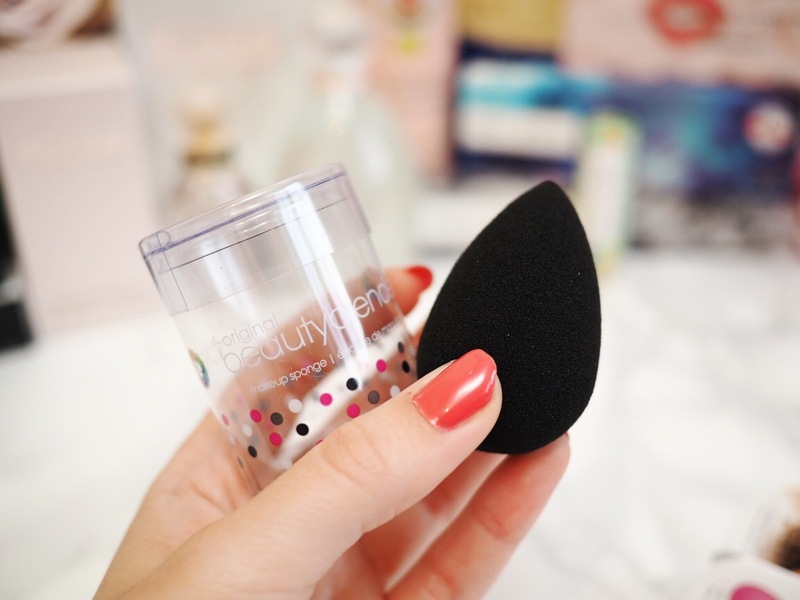 What makes Beauty Blenders different is that you soak up a small amount of water before applying make-up with them. 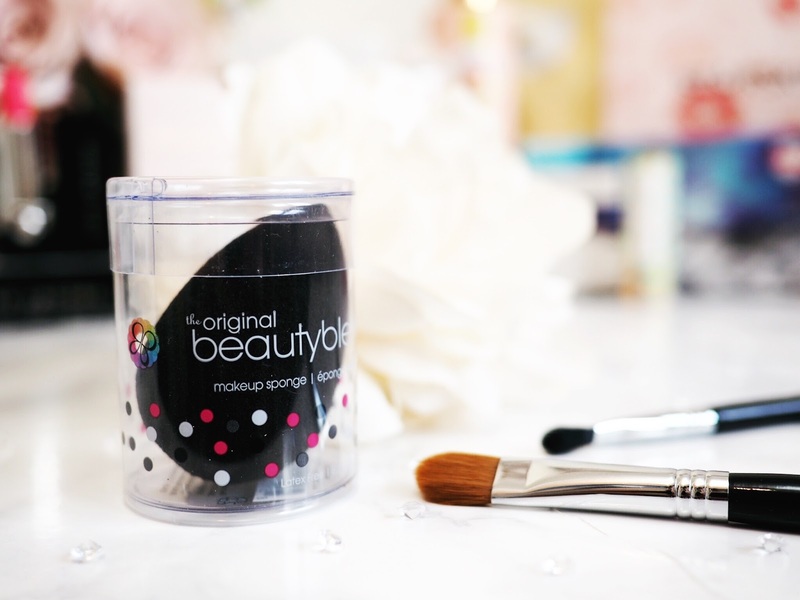 The idea is that the make-up then sits on the sponge rather than soaking in to it – for a better level of application and coverage. I must admit that it took some time getting used to applying my foundation with a damp sponge, but when I got the hang of it, I was loving the way it gives a full coverage. I found the best way for me to use my Beauty Blender is to use it for my contour rather than my foundation though. This allows me to get that full coverage where I need it most (cheekbones) and it gives a lovely matte finish that blends perfectly. It’s completely different to applying make-up with a brush or my fingertips but I’m absolutely loving it. The quality of the Beauty Blender, far outdoes other make-up sponges I’ve used and I really wish that I hadn’t taken this long to finally add one to my collection! I use a minimum of five eyeshadow colours everyday. It means a whole lot of blending goes on, and with a six year old to get ready for school too, my mornings tend to be a tad rushed! 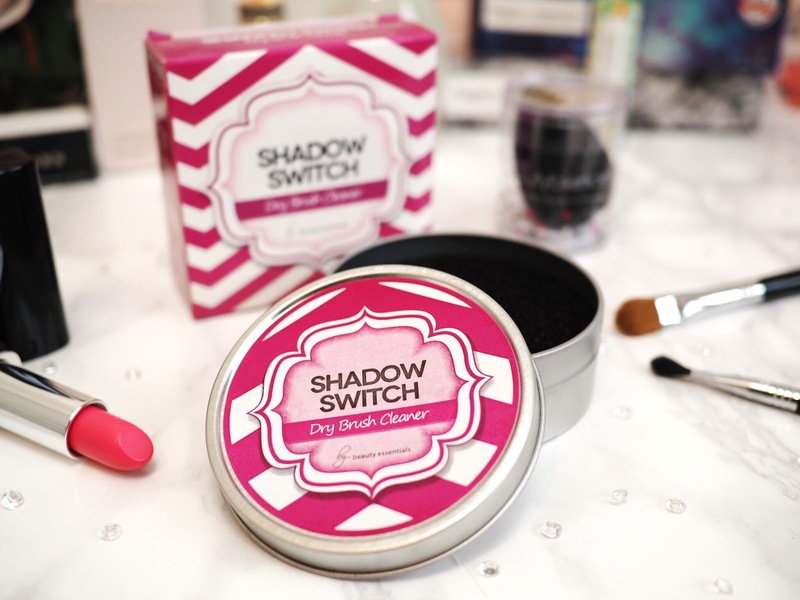 I’ve been using the Shadow Switch by Beauty Essentials as a way of speeding up the process of cleaning my brushes. I must admit that I was dubious at first because there’s no cleaning solution. It’s just a rough textured mesh that removes eyeshadow by rubbing your brushes over it. It’s a dry brush cleaner and it’s been great for my eyeshadow brushes because it removes the loose pigments quickly which means I don’t get a mix of colours where I don’t want them. I probably wouldn’t use it for any other type of make-up (and wet make-up wouldn’t be advisable) but for eyeshadows it’s really good for day-to-day use. And it’s only £5.99 too, which is great value in my opinion. 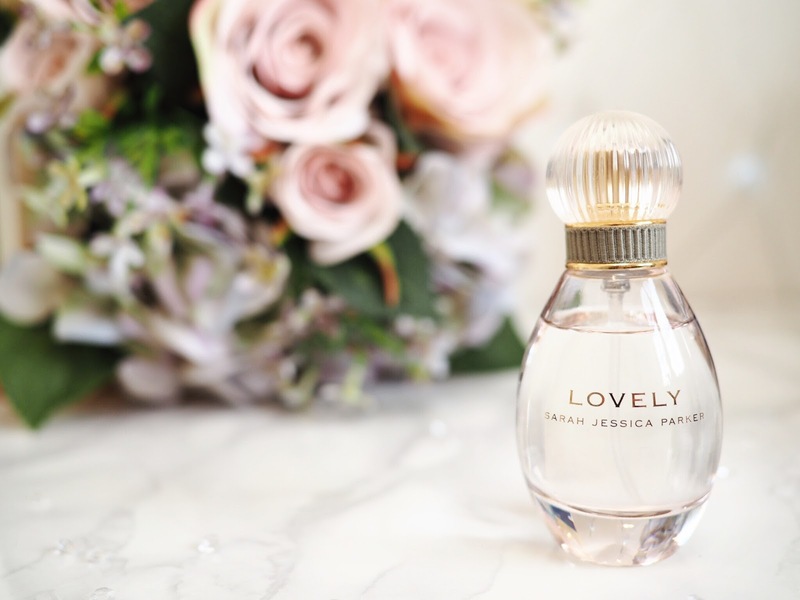 When it comes to celebrity perfumes, I’m always intrigued to see what they smell like, and I’d been really looking forward to getting my hands on the new Sarah Jessica Parker fragrance: Lovely Sheer. The original scent, Lovely, isn’t new to me and I’ve enjoyed a good old spritz when I’ve been trying perfumes before. But the nifty thing about the new fragrance is that it’s a transformational perfume. Lovely is a soft and feminine scent that’s perfect for daytime wear, and a great handbag perfume. It’s delicate and floral with pink peppercorns at it’s core. However Lovely Sheer is where the magic happens. On it’s own it’s a great perfume for evening wear, as it’s got that little bit of an edge over the original. With lavender and apple martini at it’s core, it even sounds a little bit more sultry! But…when layered together, these two perfumes create an amazingly gorgeous scent, one that I really am enjoying. It also means that it doesn’t matter which perfume you go out wearing, take either bottle in your handbag and you’ll be smelling beautiful all day. And for less than £20 each, they’re really lovely perfumes for smaller budgets. My favourite body product in September was the Roger and Gallet Body Lotion. From the relaxing Fleur De Figuier range, it’s got a real strength in it’s floral scent, you’ll smell the fig element to the scent really quickly too. It’s really thick and creamy, so your skin feels soft and fully nourished after use. I apply some after my shower in the mornings and it leaves my skin feeling clean and moisturised all day – it’s been great for the areas of hard skin like my elbows and ankles in particular. Sheet masks are BIG in skincare right now, so when I saw the Starskin Lip Masks, I was so excited to give them a go! I’m a huge Starskin fan, their sheet masks remain some of my all time favourites, so I was really looking forward to seeing if the lip masks measured up too. They’re designed to plump and hydrate the lips, and after only one use mine felt amazing. In the same way that your skin feels soft and almost new after you’ve exfoliated, these lip masks made my lips feel lovely. With coconut oil, honey, collagen and hyaluronic acid to name but a few, the ingredients of the masks are all top notch. There are two masks in each packet, and they cost £8.50 each. Well worth the little splurge for extra kissable lips, and much cheaper than having lip fillers! 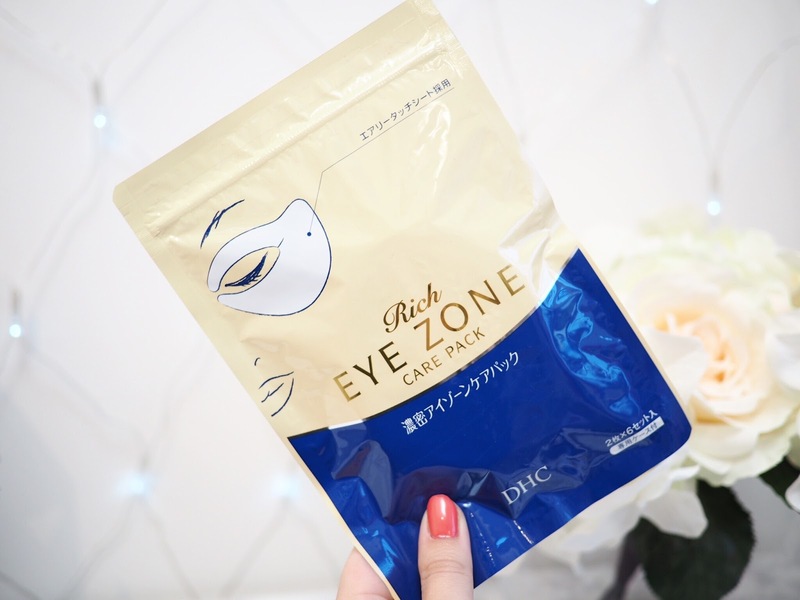 While we’re on the subject of sheet style face masks, I’ve also been loving the DHC Eye Zone Masks. I love the cooling sensation that these give my eyes (after storing in the fridge for an extra chill) and they work to smooth the skin as well as reducing puffiness – which has been rife around my eyes recently. DHC are a Japanese Skincare brand whose other products have always pleasantly impressed me. (I still use their foaming mesh every day!) And the six application pack of eye masks is only £15 – which makes it worth the investment because your eyes will feel refreshed and wide awake after each use. They’re an absolute joy for weekend pamper days. 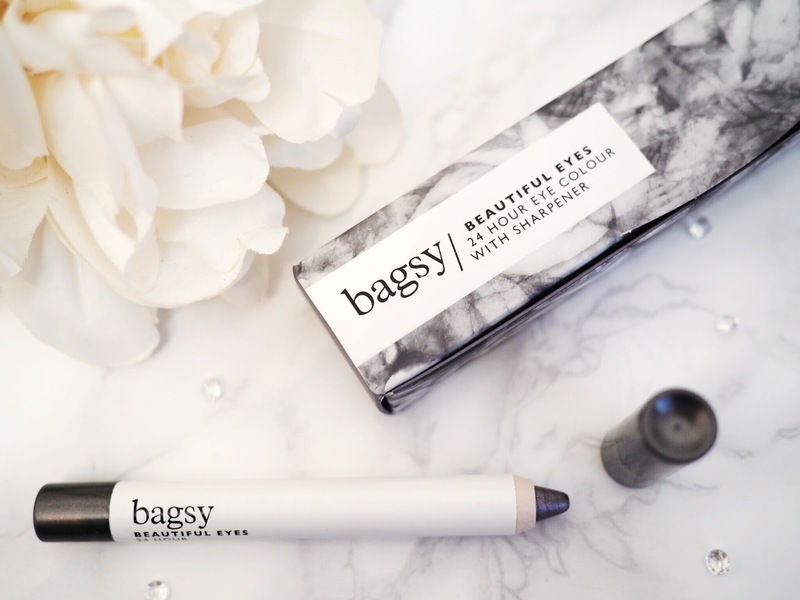 I’m a make-up junkie and I don’t even care who knows, but a new brand this month for me was Bagsy. Who kindly sent me a selection of their products to try. I have to admit that I love their packaging – very galactic and funky. I’ve been trying the Lemon Lustre Lip Cocoon, which is a moisturising lip balm. It’s made my lips feel gorgeously soft and worked to prevent them feeling dry – which is no mean feat considering I sit underneath an air conditioning vent all day. Then there was the Beautiful Eyes Pencil in ‘The Big Smoke’ which is a metal grey tone with slight shimmer finish. It’s a chubby stick style pencil and comes with matching sharpener – always a nifty addition. It’s really creamy and blendable, so if cream eyeshadows are your thing then you’ll love this. But my favourite product has to be the Wonder Wand. 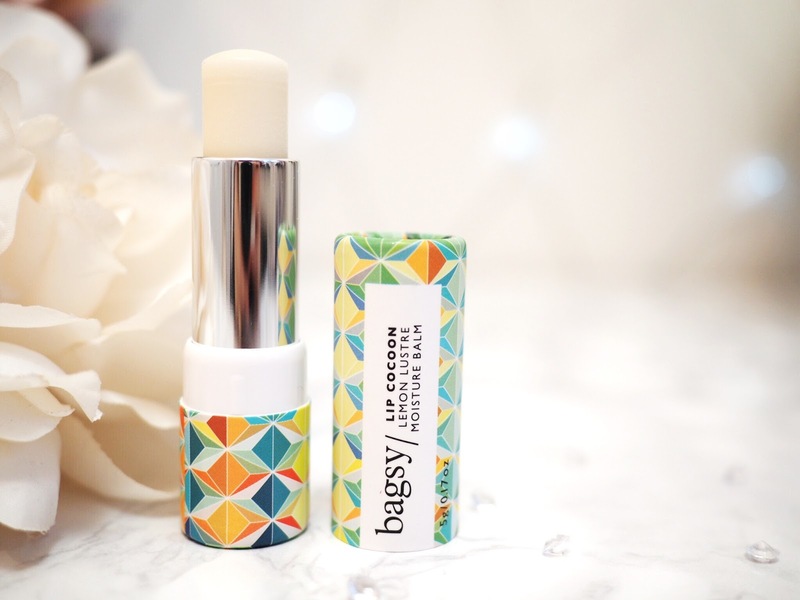 A sucker for multipurpose products, this double sided chubby stick has one shade that acts as a concealer and one that acts as a highlighter. The concealer is creamy and blendable and works well under the eyes too – perfect for covering those bags. Then the highlighter is a white shimmer which looks lovely when blended on cheekbones and brow bones. 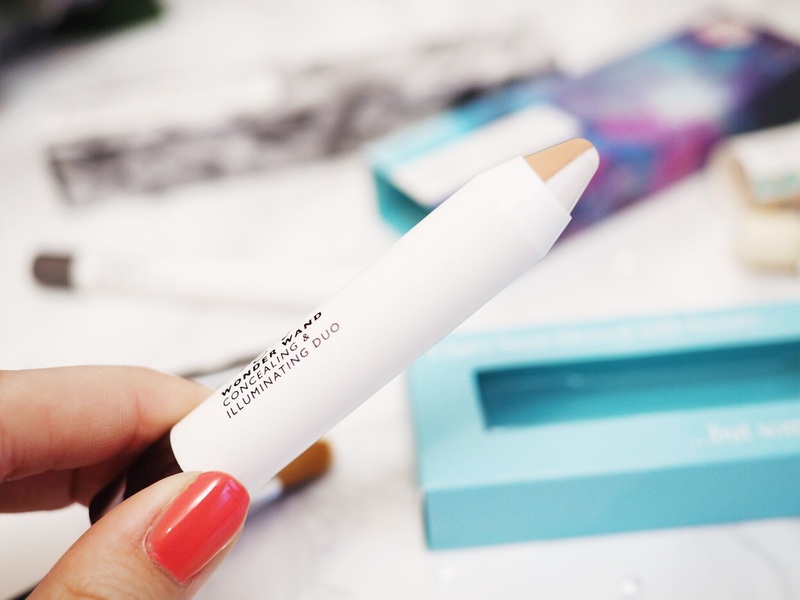 It’s a really white shade – very light, so great for lighter skin tones. 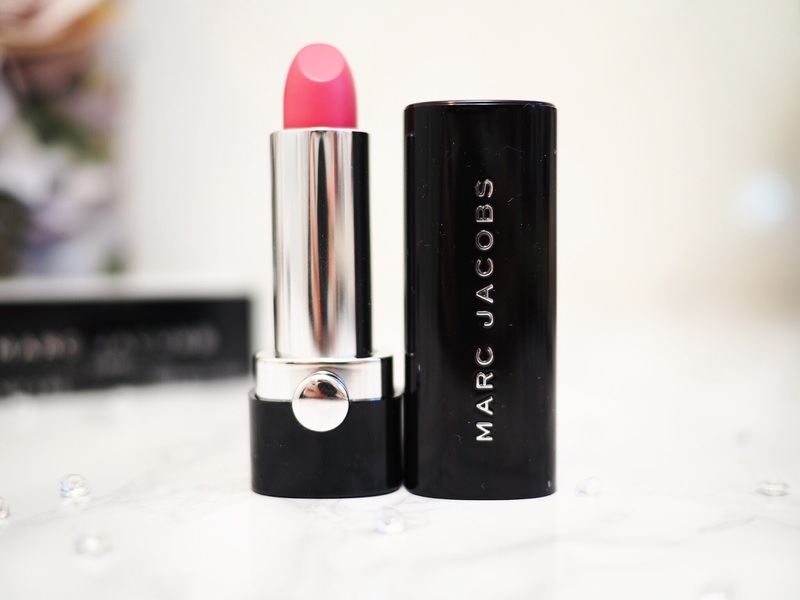 And last but not least is September’s favourite lipstick – the Marc Jacobs Le Marc lipstick in 220 Jolly Molly. These lipsticks are creamy and buttery, with a brilliant colour pay-off. And Jolly Molly is a light fuchsia pink, so a strong colour pay-off is essential to get that full wow effect. It glides on and stays put for hours, and it’s got this classy vibe about it that screams ‘Marc Jacobs’. I’ve worn mine during the day and through the evening as well and enjoyed it as both daytime and nighttime lip colour. There’s lots of shades available, but I recommend the brighter colours, because with such a high performing lipstick, why settle for middle of the road? Go bright and all out. So those were my monthly favourites for September. And what a fabulous month it’s been, trying all of them out. I’ve found some great new products I’ll continue to repurchase – for example the Starskin Lip Masks and have been really impressed by products I wouldn’t usually have thought to buy – the Shadow Switch. I love months like this when I’ve been able to try such a great and varied range of products. What do you like the sound of most?